Very easy, oven baked recipe. The perfect finger food for a party! Heat the oven to 190oC. 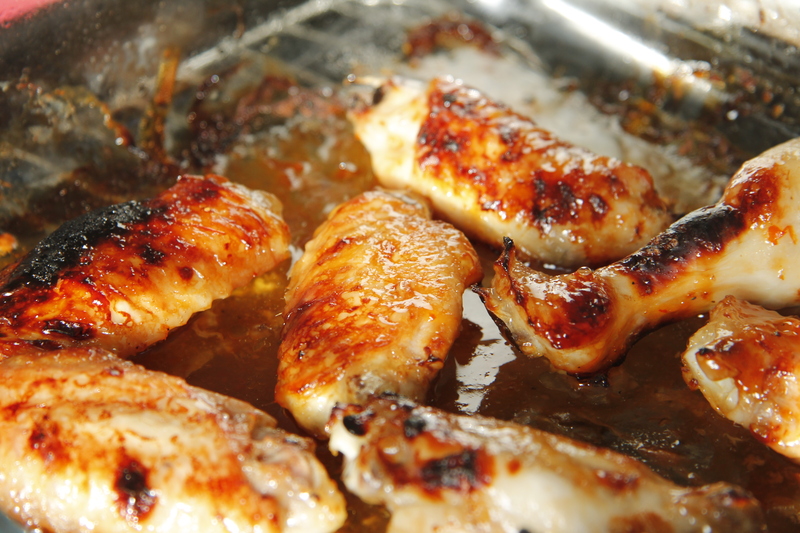 Put some oil on a glass oven dish to avoid the chicken wings sticking to the tray. Place the Chicken wings and rub salt on both sides of the wings. Pour sweet chili sauce generously covering the surface of the chicken wings. 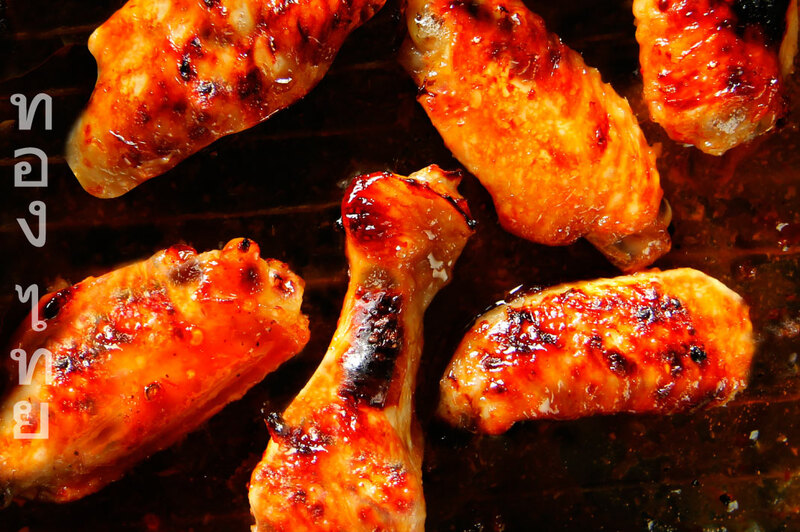 Place the glass oven dish with the chicken wings into the oven and cook for 25-30 minutes. Take them out of the oven every so often and give them a little shake to prevent them from sticking to the dish and cook evenly. 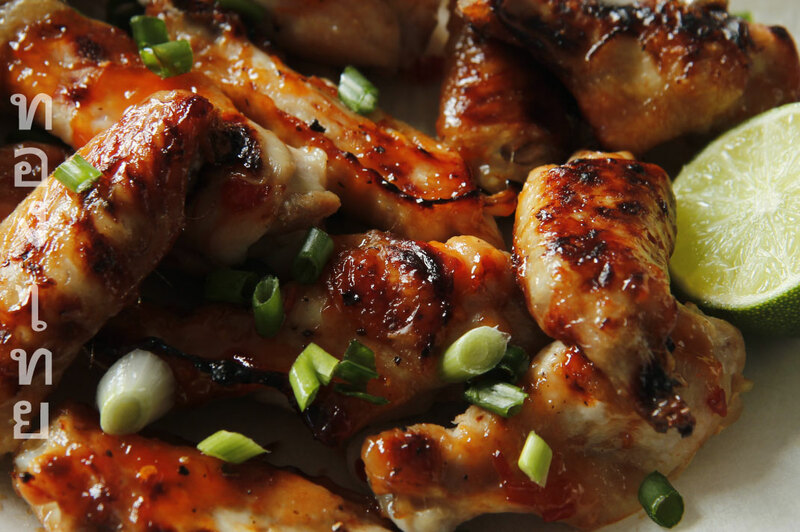 Also ensure that each of the wings are covered with the sticky sweet chili glaze. Put the tray under the grill at high heat for 3-5 minutes to partially brown them, turn them to grill the other side for another 3-5 minutes. 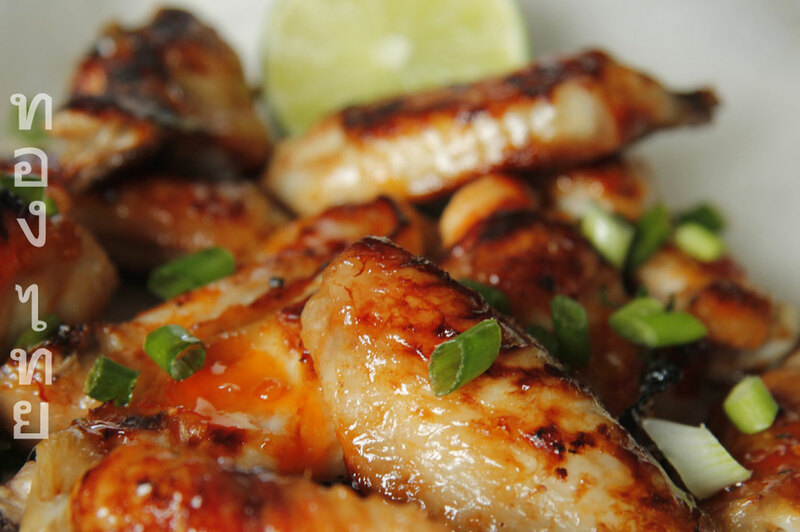 Place the wings on a bowl or plate and garnish with sliced spring onions. Squeeze the lime over the wings, and enjoy!